In which Miss Brienne Tarth has an extremely eventful Season. 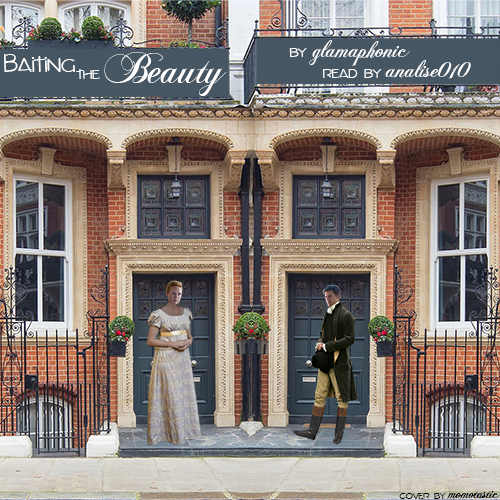 NOTE: This is a podfic of an unfinished story by Glamaphonic. As of today, the author is still working on the fic, so these 16 chapters are a direct representation of their work. I have not added or changed anything. Inspired by Baiting the Beauty by glamafonic. This Podfic Big Bang was the hardest one I've ever completed. BIG thank you to my fandom sister and #1 fan, Itsadrizzit, who listened to my hopes, fears, and audio snippets with an open heart. Thank you to my homies, Kaixo, who let me talk her ear off about all of my mod insecurities with a soft, "Now you know for next year," and Rose Creighton who was the greatest cheerleader of all time. Thank you my co-mod Opalsong. I wouldn't have been able to make this journey without you. Lastly, thank you to Glamaphonic, fellow black queen, who crafted an amazing narrative for us to treasure.